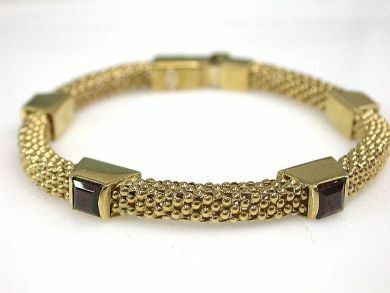 One 18 karat yellow gold bracelet. Five square cut garnets (4.53 carats). The bracelet is 7.2'' in length.